Recently, EPA identified the first 10 chemicals for evaluation under our country’s newly reformed chemical safety law. That motivated me to see how easy it would be to find these chemicals in consumer products. The answer: very easy. In fact, while you’ve probably not heard of many of these chemicals, the products that contain them are likely all too familiar. For decades our main chemical safety law offered little protection against toxic chemicals. Badly outmoded and outdated, the Toxic Substances Control Act of 1976 could not even restrict a known carcinogen like asbestos. Fortunately, last year, an overwhelming bipartisan majority in Congress passed legislation to reform the law. Included in that new law, the Lautenberg Act, was a requirement that EPA identify the first 10 chemicals to undergo risk evaluations. EPA released that list in late November, and included chemicals ranging from household names like asbestos to less well-known ones like Pigment Violet 29. All 10 chemicals had already been designated by EPA as chemicals in need of additional scrutiny. To begin my toxic scavenger hunt, I had to first figure out which products use these chemicals. That is harder than it might sound. Companies are not required to include most ingredients on product labels (you can see that for yourself right now, if you have a cleaning product within sight). Nor are there comprehensive databases listing where chemicals are used—even chemicals that pose serious health and environmental concerns, like these 10 chemicals. To figure out which products use these chemicals, I had to resort to some advanced Googling. I found some products by searching online for Safety Data Sheets containing the chemicals—these sheets of product information are required by OSHA for potentially harmful substances used in the workplace. Other products and product categories can be found by searching EPA’s CPCat: Chemical and Product Categories database and the National Institute of Health (NIH) Household Products Database. The databases are not exhaustive and are further limited because product formulations change often, so all of these sources had to be confirmed using other information. Many product categories have no ingredient disclosure whatsoever. For instance, a flame retardant on the list (HBCD) is used in electronics, textiles and elsewhere, but little or no disclosure is required for such products. Even so, product testing has turned up some specific uses—as an example, the Ecology Center tested children’s car seats and found the flame retardant HBCD in certain models. Still, there’s just no way to know for sure where else that chemical might be found in our homes or workplaces. Where products using these chemicals were identified, however, finding out how I could obtain the products was a cinch (see my list). Amazon is my go-to vendor for everything from diapers to razors—and it turns out it can also supply me with products containing PERC, 1-Bromopropane, TCE and many more. I also found that purchasers’ reviews provided interesting insights. Lectra Clean Degreaser uses PERC. One Amazon reviewer gives the product 5 out of 5 stars, noting “I always keep a couple cans of this handy. It’s also an amazing bug killer. It will kill any fly, wasp or nuisance bug almost instantly upon contact. Put the small red tube in and you’ve got about 8 feet of accurate Armageddon for our insect friends.” Now there’s a reasonably foreseen use the product manufacturer perhaps didn’t intend! The labels on these products are also of interest. At my local hardware store, I picked up a NMP-based paint stripper. That product is sold under the brand “Back to Nature” and includes a logo that urges browsers to “Go Green.” That’s pretty upbeat language for a suspected reproductive toxicant. 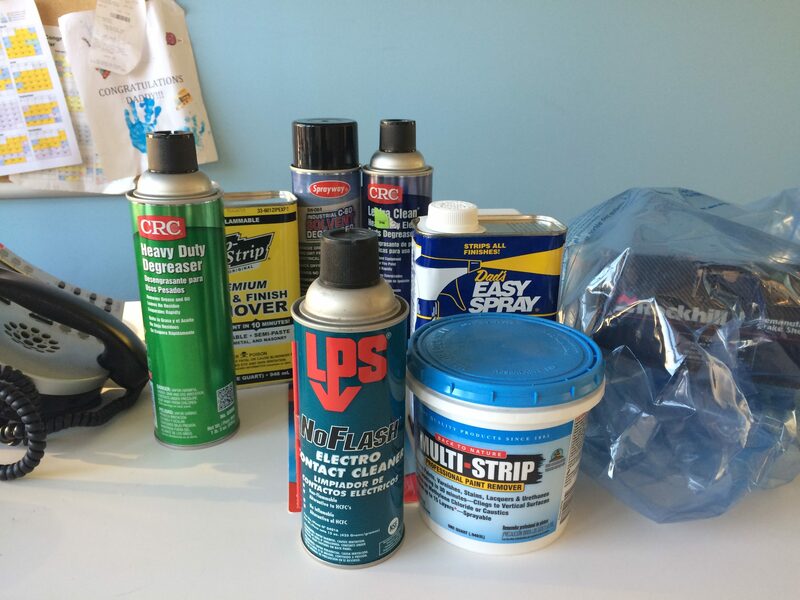 Generally, hardware stores are great places to find the chemicals on the first-10 list. Paint strippers using NMP and Methylene Chloride are readily available. Carbon Tetrachloride can be found in adhesives. Craft and hobby stores are good places to find others, like Pigment Violet 29 (used in some permanent violet paints) and 1-Bromopropane in certain adhesives. We can chuckle a bit at how casual a company was in shipping a product containing a deadly carcinogen, but this is serious stuff. 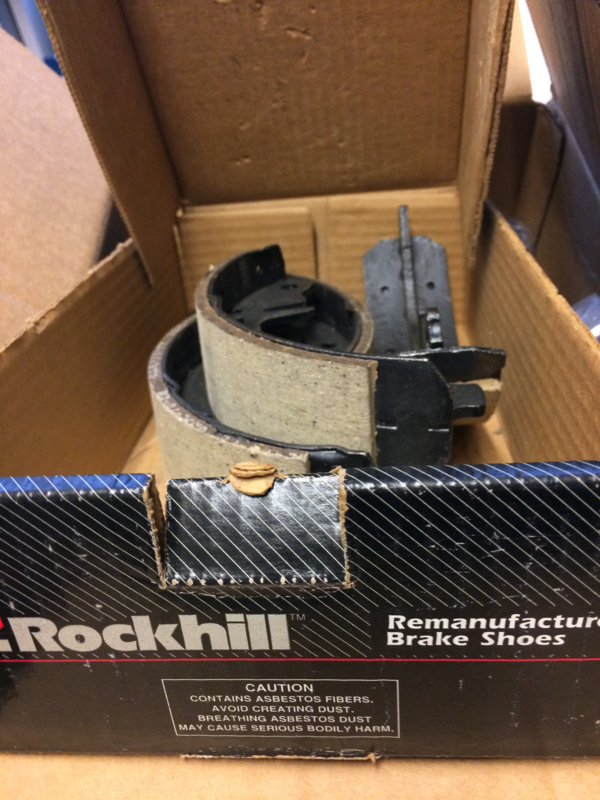 The men and women who work with asbestos brake pads can get deathly sick, and so can their families when the fibers come home on clothing. Paint strippers containing methylene chloride are responsible for numerous deaths—people killed at work or at home. Mechanics using brake cleaners in auto shops, janitors using stain removers, and dry cleaners using spot cleaning products are likely putting their health at risk every day at work. Pregnant women using these products, say, to prepare a nursery, might inadvertently be harming their developing fetus. Tuesday, EPA will take the next step on these 10 chemicals, holding a public meeting to discuss and get input on what the scope of their risk evaluations should be (see their use dossiers on each of the 10 chemicals here). We should all watch closely and participate where we can to ensure that workers, kids, pregnant woman, and everyone else get the protection they deserve. And if you know of any other products containing these chemicals, please let me know. I still have some room on my desk. This entry was posted in TSCA Reform, Uncategorized. Bookmark the permalink. Both comments and trackbacks are currently closed.